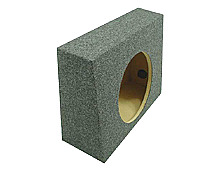 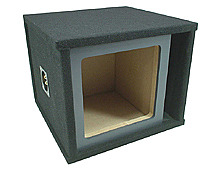 Round Sealed Round Vented Square Vented Rear Fire 6" x 9"
ASC Premium Series enclosures feature all 1" or 3/4" MDF Construction (Depending on the series). 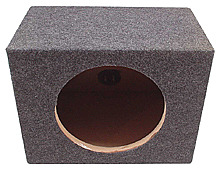 All boxes are glued, nailed and caulked in construction to hold up to any bass you can throw at them. 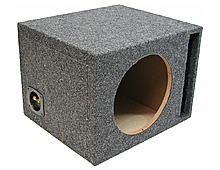 All Premium Series enclosures feature high grade binding posts, rounded port vents and high quality carpet. 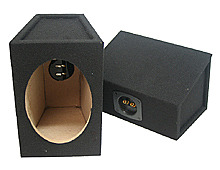 The Premium Series features our Transmission line and our Painted Face enclosure which we feel are the best enclosures available on the market today.